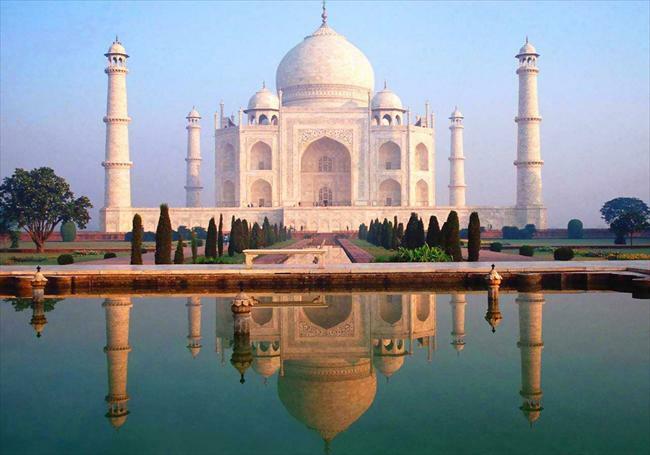 This morning after breakfast you will drive to Mughal city Agra and check into your hotel. Enroute you may also visit Mathura-the birth place of Lord Krishana. This afternoon visit the Agra fort, built by the great Emperor Akbar, and the famous Taj Mahal-the symbol of love, built by Emperor Shah Jahan in memory of his wife Mumtaz Mahal. By evening return to your hotel for overnight stay. Note: The Taj Mahal Remain Closed on Every Friday. The Taj Mahal Visiting Hour from Sunrise to Sunset. This Morning after breakfast you will transfer to Delhi to board the train to Jammu. Overnight in Train. On arrival at Jammu railway station, our representative will meet you with displaying your name card and transfer to Katra-Vaishno Devi. Rest of the day is free at you leisure. Overnight at hotel in Katra. This morning after breakfast you will proceed by walk to the Vaishno Devi Temple or by helicopter to reach Vaishno Devi Temple, have Darshan of Mata Vaishno Devi. After having Prasad proceed to Bhairo Baba Temple by horse and reach the helipad by horse to fly down to Katra. On arrival pick up and transfer to hotel. Rest of the day is free to relax in the hotel. Overnight at hotel in Katra. This Morning after breakfast you will transfer to Jammu to board the train to Delhi. Overnight in Train. On arrival at Delhi Railway Station, our representative will meet your & transfer you to Airport for your onward Journey. * 7 Nights accommodation in hotels with breakfast on twin sharing basis.